Since doing my tutorial on how to mod the Sennheiser G2/G3 to have a SMA port I’ve been recieving a lot of questions on SMA antennas. And up till now I’ve said that people should only mod their recievers. Well I talked to some RF experts who have said that modding the transmitter would also help a lot too. I still use the Semnheiser G3 for talent wireless so a super stiff antenna like the one I recommended in the orginal G3 mod tutorial would not work 100% of the time for me. I needed a flexible antenna that also allowed for a lot of isolation from the skin. Here is the tutorial on how to make such antenna. I was able to make the whole antenna using scraps I had laying around my work bench. Cut roughly 6″ of wire. We will tune it to the proper frequency length later. Strip off roughly 1/8″ of plastic/rubber coating on side of the 6″ wire. Twist the strains of your braided wire together so they look grouped together and neat. Slide wire into the RG174 SMA connector. You may need to trim down the wire to fit properly into the center pin’s wedge. I used a pair of flush wire cutters to cut back a few strains in my steel braided wire. I retwisted my strains together. 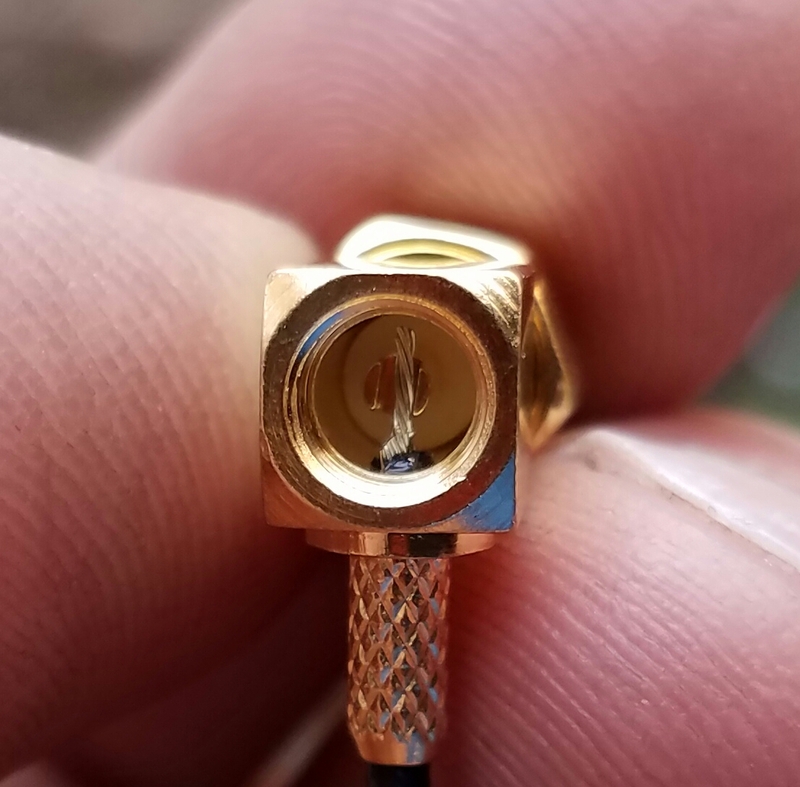 This may not be required, it will all depend on your wire and which brand of right angle SMA connector you purchased. Notice how just a tiny tad of my plastic coating is sticking out into the connector. This will help protect against grounding. Make sure no frayed strains are touching the housing and that a little of the wire instulation pokes out into the housing. This will insure your antenna doesn’t ground out. 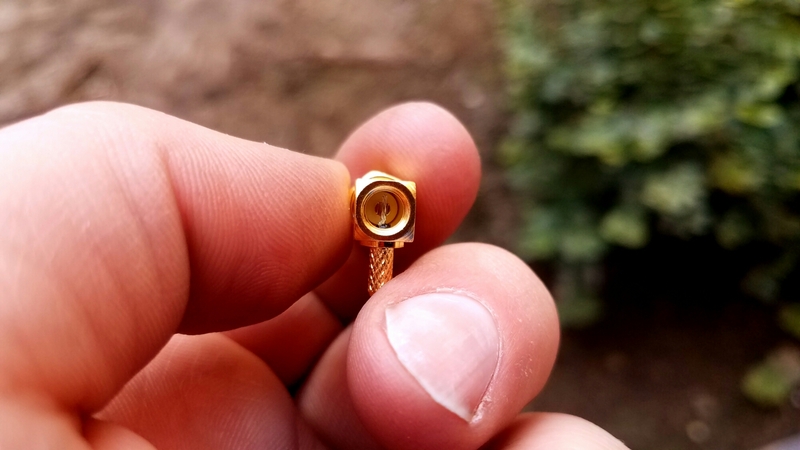 At this point you could solder a tiny dot of solder to ensure the wire connects to the center pin. I skipped that and used a continuity detector and confirmed I was touching. Add the white cap followed by the golden set screw. Cut a 1 inch long piece of 1/8″ heat shrink tube. Place it over the RG174 connector and the wire. This will act as substitute wire holder since we dont have a braided shield to crimp too. Use your heat gun to shrink the tubing. You can also use a candle, lighter, or even the shaft of your soldering iron to achieve this task. 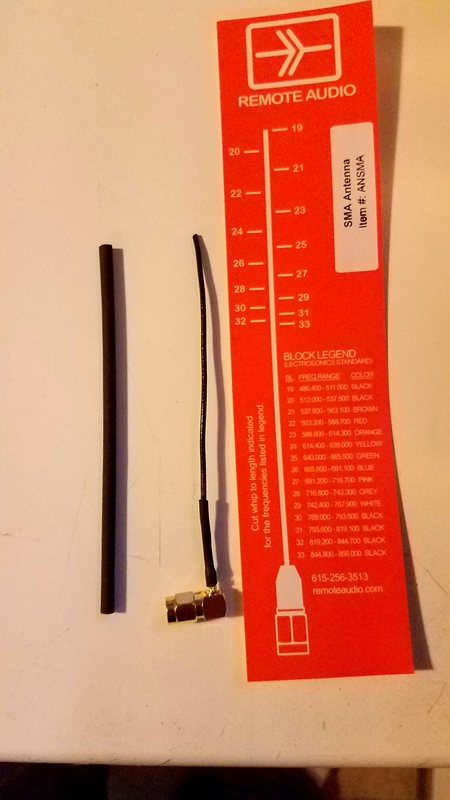 I had a Remote Audio antenna cut guide laying around but if you don’t you can google the term “Antenna length calculator” to find out how long you will need your wire to be. 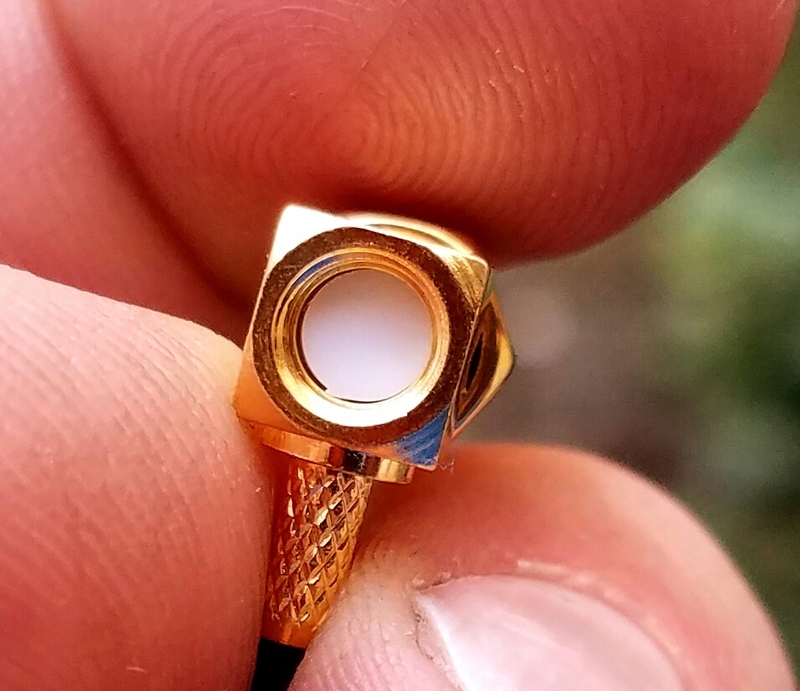 Make sure to measure from the tip of the RG174 connector. Cut a second piece of heatshrink a tad longer then your antenna. This will add as a pad to keep the wire from making direct contact with your talents skin. Slide on your second piece of heatshrink and apply heat. You can also as a preventive measure add a drop of super glue to the tip of your heatshrink to make it sweat proof. This antenna is very simple and will also offer a decent amount of grounding protecting from the talents sweat and body. 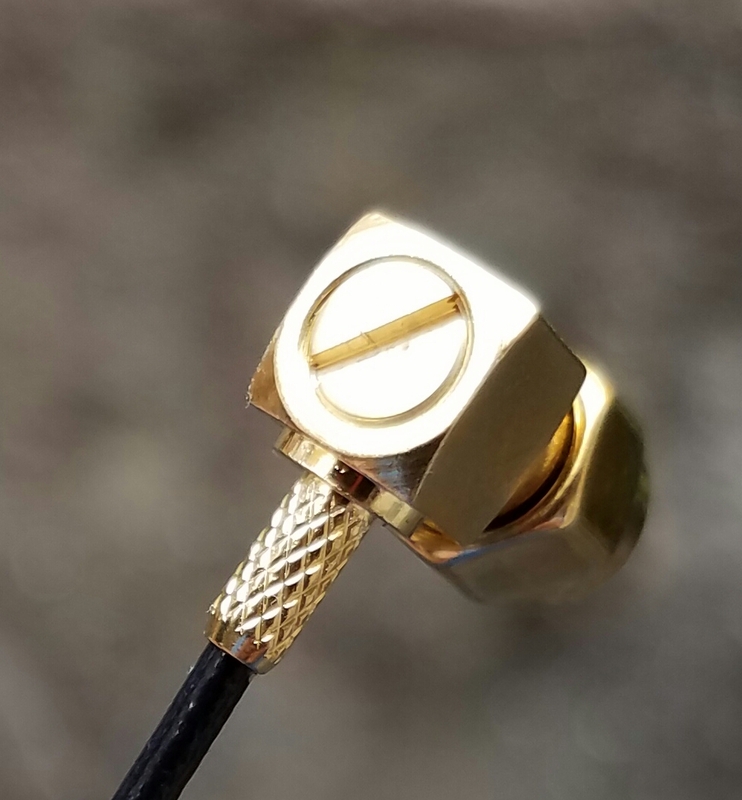 If you choose to skip the soldering tip you can also easily reuse the SMA connector if the ever breaks or becomes worn out. Simply use an exacto knife to cut away the heat shrink holding the wire to the connector and give the steel wire a strong tug. This antenna can also be created to 1/2 Wave and Full wave. I hope you found this tutorial helpful. Leave comments below if you have any suggestions or if you want to see other tutorials. Next Next post: Troubleshooting a Sennheiser G3 or G2 mod: With Comparisons Between a Set Having Only the RX Modded, and a Set Having Both the TX & RX Modded. I would like to try to make a couple of antenna, can you recommend me a specific wire? I’ve been looking online with no much luck. Shove any 22 gauge wire into a SMA connector. Play around with any wire you may have in your scrap bin on your work bench. Try some Zero OHM hook up wire or jumper wire. It’s all experimenting and fun when it’s just a $1. You can normally fit any 22 gauge single core wire into the center hole into the female side of a SMA port. So play with random wires and see if you notice anything. Not all metal is as RF sensitive as other metal. Hey there! Awesome posts, I was able to mod a couple of G3 receivers based on your efforts and other similar posts. I have just begun to test them and using them for an upcoming shoot. I used Remote Audio Miracle Whip antenna, and so far the results are great! 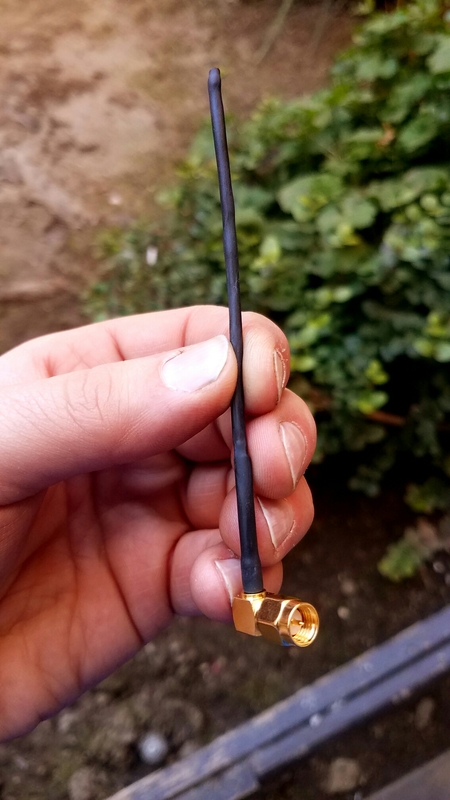 I wanted to look into cost effecting DIY antennas like these and figured I’d try to make one and mod a transmitter like you did. Did you notice any better performance with a modded transmitter? Also was there a reason you used the right angle antenna? It seems like it wouldn’t be great since you want the antenna to be vertical ideally. Unless you modded your transmitters to have the SMA connector to come out of the side? the right angle whip might be easier for hiding some a persons wardrobe. Or if a stiffer material was used for the cabling you could use the right angle for camera hops when the RX is laying flat ontop of the camera.